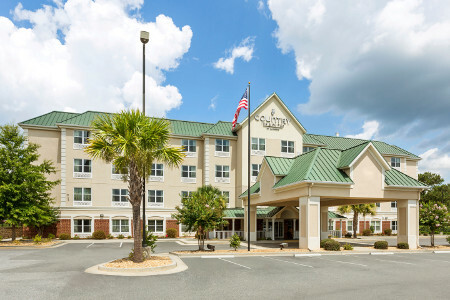 Located off I-75, the Country Inn & Suites® by Radisson, Macon North, GA is an ideal place to rest as you explore the heart of Georgia. 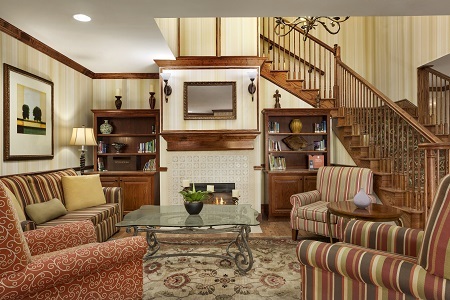 Visit family members attending nearby Mercer University, or tour the grounds for your own enjoyment. Don’t miss your chance to sing along with a Broadway show at the university’s performing arts center, The Grand Opera House. For a glimpse of Macon’s antebellum history, schedule a tour of The Cannonball House. Traveling with family or need extra space? 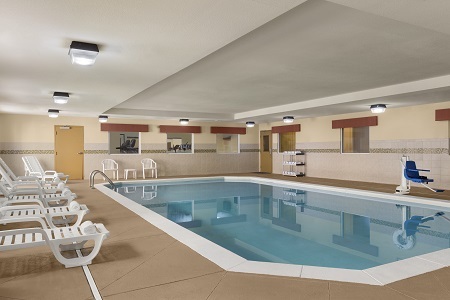 Reserve a One-bedroom Suite to enjoy a separate living area with a pullout sofa and all standard amenities. 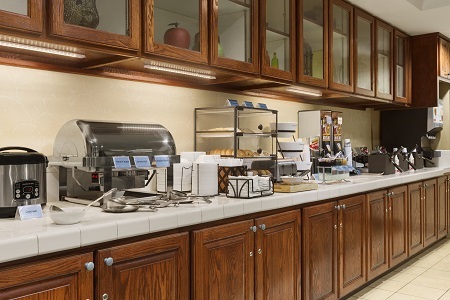 Start your day off right with our free, hot breakfast, featuring biscuits and gravy, scrambled eggs and sausage patties. For lunch or dinner, head next door to Wagers Grill & Bar to enjoy burgers, pizza and American classics in a casino-themed setting. If you’re in the mood for flavorful pasta dishes, Carrabba’s is within half a mile of the hotel. You can also try nearby restaurants like Five Guys and Logan's Roadhouse. The Cannonball House – Take a tour of this historic home just seven miles from the hotel. Built before the Civil War, the house gets its name from a Union cannonball fired into the building from across the river. Learn all about antebellum Macon through firsthand accounts and artifacts, including the actual cannonball. Mercer University – Located eight minutes from the hotel, Mercer is the oldest private university in Georgia. The university offers degree programs in the humanities and a variety of scientific disciplines. Be sure to visit The Grand Opera House, the school’s performing arts center, which hosts performances of popular Broadway shows. Tubman Museum – This museum is dedicated to Harriet Tubman, the famed abolitionist who dedicated her life to ending slavery. Just a short drive from the hotel, this museum houses exhibits dedicated to African-American history, culture and art. Walk by a 55-foot mural that recounts accomplishments of African-Americans from past to present. Hosting an event in the Macon area? 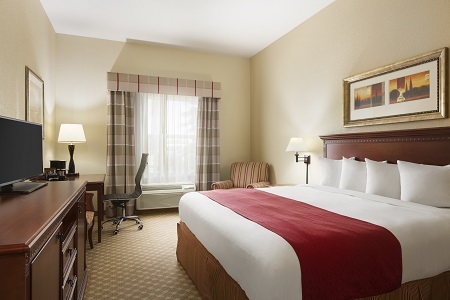 Our hotel offers 900 square feet of meeting space with capacity for up to 30 guests. Give presentations with confidence using helpful amenities that include free high-speed Internet access, a flat-screen TV and an LCD projector. Our friendly staff is on hand to help with everything from event setup to catering assistance.